Select and pay for your new phone number. Below are the most common questions with simplified answers, if you have a question or concern that is not listed please feel free to contact us. Once you place the order we’ll register the number to your name and address and provide you within 1-2 days (sometimes even the same day) with the account details such as account number and PIN. 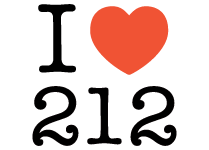 212areacode.com was established in 2008, in an effort to satisfy the need of many businesses and personal clients seeking the 212 area code. We have started by providing 212 phone numbers for friends and family, once the demand for the product grew, we’ve established a website to offer this great service to all New Yorkers as well as clients from other states who wish to have a 212 area code phone number. When you select a phone number on our website you will receive a full month of call forwarding service with 100 minutes to any US number, in essence we are offering you to sign up for service with us. However, if you are unsatisfied with our services and wish to use another provider, you may port the number to the carrier of your choice while the number remains active. On November 24, 2003, the FCC (Federal Communications Commission) enacted a new regulation to allow you greater flexibility with your telephone number. You may switch your home number from a traditional land telephone line to a cellular or wireless telephone and vice versa. Are there any recurring fees after I purchase service? No, the fee you see listed is a one-time fee and as long as you port the number to another carrier we will not charge you again. You may keep services for your 212 number with us for a fee of $24.99 for unlimited call-forwarding* or parking the number for $12 per 90 days will give you 100 minutes of call forwarding a month. Is there a monthly fee for your service? The price reflects only service for the first month; the service includes 100 minutes of call forwarding to the number you select. You are free to port the number to another carrier or sign up for additional month of call forwarding service at a cost of $24.99 per month for unlimited calls* or Parking the number for $12 per 90 days for 100 minutes a month. Are these numbers brand new? These numbers are brand new and newly activated, avoiding the possibility of someone calling your new number looking for someone else (of course there may be exception). What is the difference between Standard, Business & Exclusive numbers? Standard numbers are generic and basic; they give you a simple 212 area code phone number which you may use for any purpose including business. Business numbers are easier to remember than personal numbers, hence the price difference; however, you may use a business number for personal and vice versa. What separates the Exclusive numbers from the personal and business numbers is how extremely easier to remember they are, benefiting businesses that rely on their clients to memorize their number, especially service oriented businesses. The categories listed are for simple navigation on our site, you may use a personal number for business or an exclusive number for personal, the only difference between the categories is how we list them. How do you get 212 phone numbers? The numbers are provided to to us from many sources across the US. Are the prices listed on the website a one time fee or monthly? The prices on the site reflect one month of service with 100 minutes of call forwarding. You are free to port the number to your carrier within that time period. Does the number I select belong to me? The number you select belongs to you the same way your current number belongs to you; you may use it with our services or port it out and change carriers whenever you wish. What happens if I cancel service with my provider, do I still own the number? No, the number is yours to use with your provider, if you’re not happy with your carrier, you may port/transfer the number to another carrier but the number must always remain active in order to retain the number. But I paid for the number, doesn’t that make me the owner? Yes, but only for as long as you keep it active, just like any other phone number, once service is cancelled and the number not ported out, you’ll most likely lose the number. In order to keep the number, you can always port/transfer the number to another provider BEFORE cancelling your current services. We will send the information you will need to access your account via email. Can I sell my 212 area code number through your website? Unfortunately we only sell services with the number a client selects and we cannot offer service on a number that is not in our system. Number porting, or the industry term, Local Number Portability (LNP), basically provides you with the ability to take any phone number, which is in an account with your name, and move it to any service provider. There are some limitations as it relates to porting numbers to land line phones, it must be within the physical area of the specific area code. Which comes first – a 212 number or a phone line? Before you sign up for a new line of service you should have the info pertaining to the 212 number you wish to acquire, this way it will be quicker and easier for your new phone company to port the number the first time around. Is there a time limitation on porting out a number? Yes, porting a number out from our service requires that your number be active with us, when you initially sign up for service with us you will be given 100 minutes of call forwarding, if you wish to port the number to a different service provider you may do so during that time period (30 days). How soon will I be able to use this new 212 area code phone number? Call forwarding with the initial 100 minutes will usually be activated with 1-2 business days (sometimes the same day). You should receive the information associated with your account and phone number detailing the call forwarding process or porting information for the number to your carrier once the call forwarding service has been established. If you decide to port the number to a cell phone, the porting process takes 3-5 business days. If you decide to port the number to VoIP or Hosted PBX systems it can take 10-14 days and sometimes even up to a few weeks. Which phone carriers support porting your 212 area code phone numbers? Your initial service with us is for 30 days of call forwarding with 100 minutes included; if you wish to port the number to another carrier you may do so within the initial 30 days or sign up for additional service. The carriers who support our 212 area code phone numbers breaks down into three categories: Landlines, Cell phones & VoIP (Voice over Internet Protocol). All carriers with no exception will port our 212 area code phone numbers to their service. Most VoIP carriers will port our 212 area code phone numbers to their service, to verify simply ask your potential carrier if they support Number Portability or LNP (local number portability). Outside of Manhattan Land-line carriers do not support porting 212 area code phone numbers as they must comply with mandatory 911 as opposed to other VoIP carriers who can rely on E911 (Enhanced 911). Within Manhattan Time Warner Cable & Verizon support porting our 212 area code numbers. Can I ‘park’ a purchased number with your service? Yes, after the initial 30 days of service you ordered with the phone number selected has ended, we do offer the ability to park your purchased number with our service provider for a minimal fee. This will extend the additional 90 days of call forwarding service with 100 minutes for 90 days. To park a 212 number, you just have to pay a small fee. Enter the number you purchased and For just $12, you will be able to park your 212 phone number for 90 days and use the call forwarding service. Can I port the number to my cell phone? Yes, all of our numbers can be ported to a cell phone and all carriers accept our phone numbers. Can I port the number to a landline? If you live in Manhattan and would like a 212 number, you may port the number to either Verizon or Time Warner Cable. Alternatively, you may port the number to any VoIP provider such as Vonage, 8×8 or RingCentarl. Optimum (Cablevision) will not allow to port in a 212 number purchased from us in all 5 boroughs. Can I port the number to Google Voice? Please note that if the number shows as unavailable for porting is because Google voice only allows mobile numbers to be ported into their system, this is how we help you port the number: We’ll port the number you purchased into a mobile carrier. This porting process can take 3-5 days and as soon as the number is ready for porting into your Google Voice account, we’ll send you concise and clear instructions on how to complete it. Can I port the number to Skype? You can port a 212 number to a Skype for Business account. Skype does not allow phone port in at this time to personal accounts, but we do hope they enable this feature soon. Can I port the number to VoIP, Ooma or MagicJack? Most VoIP companies support the function of bringing your own number, such as Vonage, Packet8 (8X8) Phone.com, Bandwidth.com or ringcentral.com You may port the number to MagicJack Plus or Ooma service although you might incur a one time fee. Will my current phone company charge me an additional fee to port the number? Typically your current phone company will not charge you to port the new number as they’re pleased to have you as a customer (except for Ooma). To be sure, check with your current phone company. What happens to my old number? When you port a new number to any existing service, your old number is dropped from your account and will be placed in a queue for other new account holders. How come some of the numbers show as ‘Unavailable’ for porting to Google voice? Google voice only allows mobile numbers to be ported into their system, we’ll work to port the number you purchased into a mobile carrier. This porting process can take 3-5 days and as soon as the number is ready for porting into your Google Voice account, we’ll send you concise and clear instructions on how to complete it. The price reflects only service for the first month; the service includes 100 minutes of call forwarding to the number you select. You are free to port the number to another carrier or sign up for additional month of call forwarding service at a cost of $24.99 per month for unlimited calls* or $12 per 90 days for 100 minutes a month. Our service includes 100 free minutes of call forwarding a month. We offer a 100% money back guarantee, if you are unable to port the number to you carrier we will refund you the full amount. (Check with your carrier first to make sure you can port in the number you like). We proudly accept PayPal payments. Through PayPal, you can make a payment using the following methods with, or without having a PayPal account: Visa, MasterCard, American Express, Discover, or eCheck. Due to the nature of this product we cannot accept returns, sorry. All the information you enter on this site is kept confidential, we don’t sell it or distribute it by any means. You credit card info is kept private even from us, all payments go through PayPal, so you have nothing to worry about, since PayPal is the most trusted name in online payments.